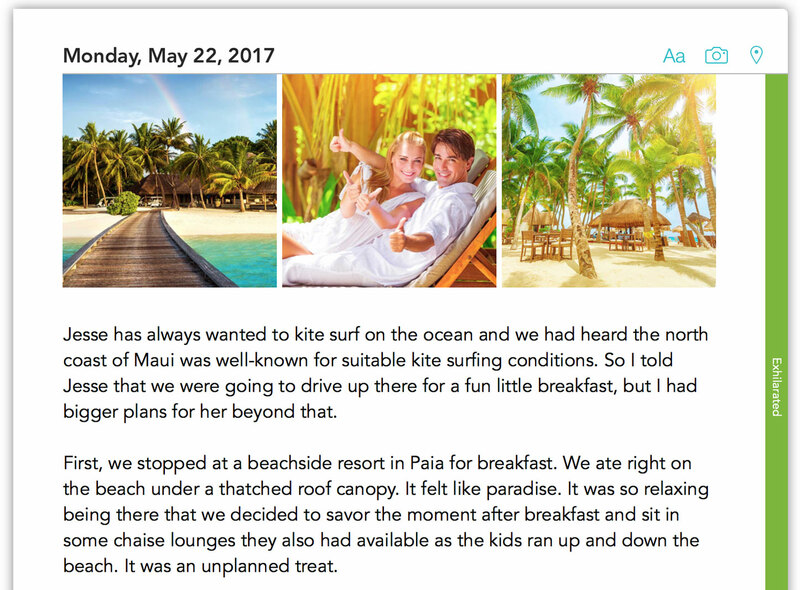 Use Lifecraft's journal and emotion tracking tools to rediscover your dreams and take control of your life. Get started today. Lifecraft makes it easy to reflect on your life and write down your thoughts. To assist you, Lifecraft displays your schedule and then automatically captures things like the weather and your current location. 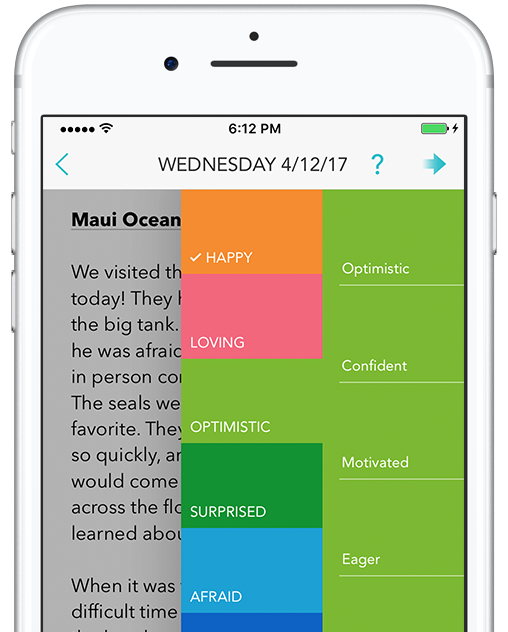 Explore and track how you feel each day using the ever-present Emotion Bar. Of course, the real benefits come as you view and analyze your emotion history using the built-in Emotion Calendar and Emotion Tree. Lifecraft seamlessly syncs your information between all of your devices using Apple's iCloud technology. This means that you don't have to trust your private information to yet another 3rd party. Oh, and it's super-fast. 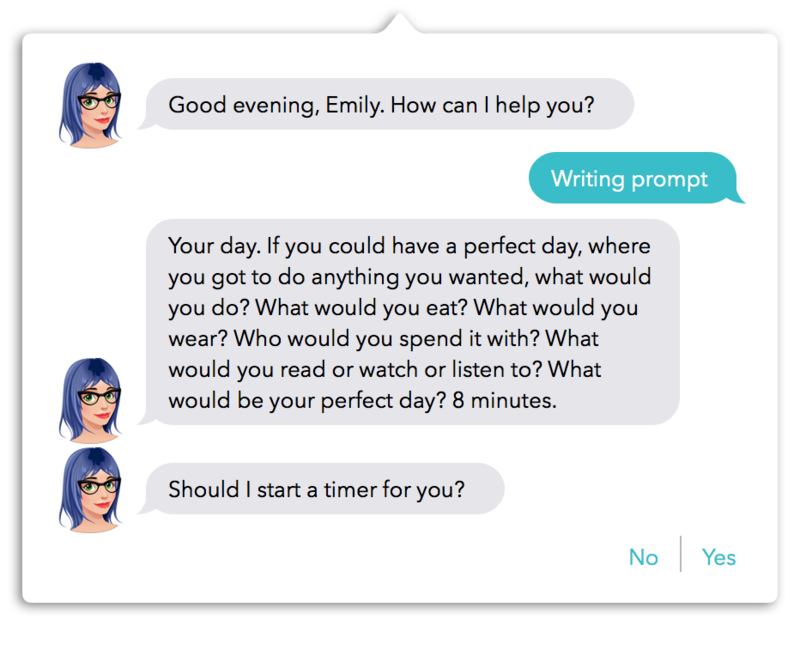 Zee is an intelligent assistant who’s always available to help you write in your journal and stay motivated. Zee greets you with a smile, offers daily writing prompts, and can even tell you a joke when you need a laugh. Need help staying focused? Zee will start a timer for you. Lifecraft takes care of the details, so you don't have to. 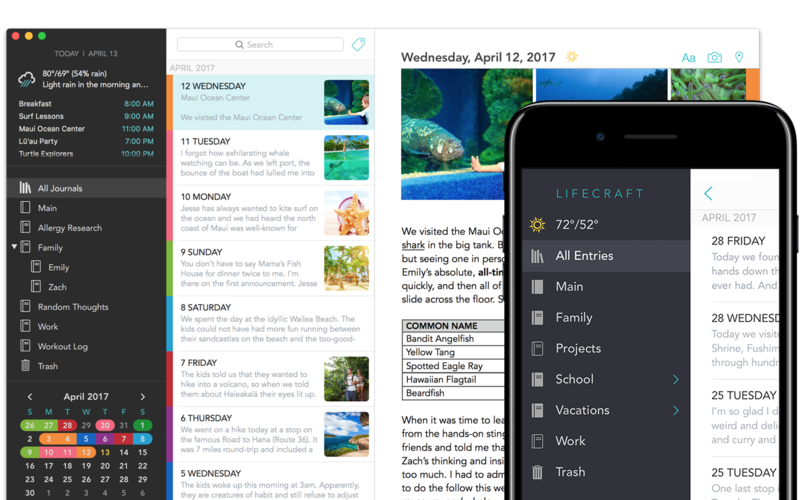 Whether it's displaying your schedule to remind you of the day's events or automatically including your location and weather in your journal entry, Lifecraft has you covered. Lifecraft features 3-stage encryption to ensure ALL of your information is ALWAYS encrypted whether it's (1) residing on your device; (2) in transit to/from the cloud; or (3) sitting in the cloud. Your entire database is encrypted using industry-standard AES-256 encryption. Your schedule conveniently shows you what happened during your day. Your location is automatically captured with each new entry. Click in the menu bar to write an entry from any application (macOS). Quickly search your entries using words, tags, favorite status, or emotion. Use multiple fonts, styles, colors, lists, & tables (macOS) in your entries. Experience real-time synchronization across all of your device using the cloud you already trust. "Zee" helps you write in your journal, gain new insight, and laugh. Track how you feel each day. Analyze the results to determine what's making you happy, sad, etc. Use tags to assign context to your entries—a great way to organize entries across journals. 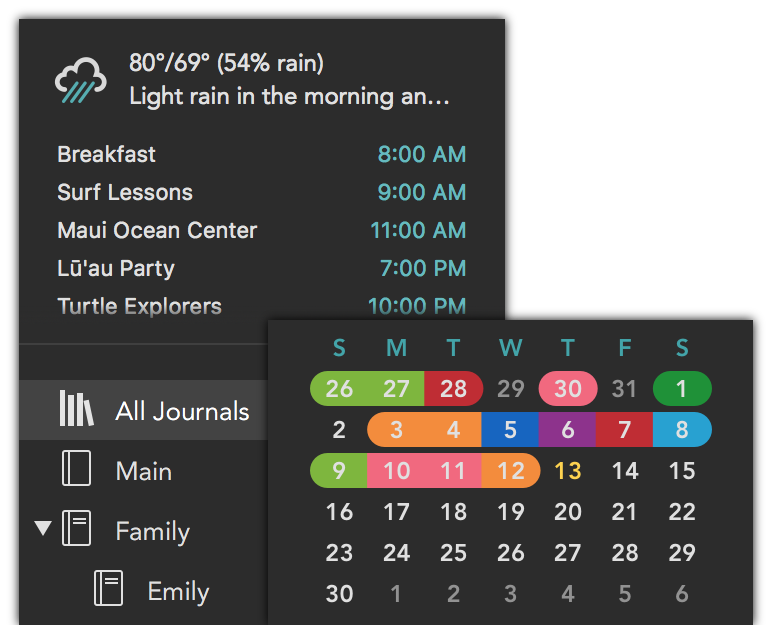 Create unlimited journals and sub-journals to organize your entries. Attach an unlimited number of photos & movies to each of your entries. The weather forecast is automatically captured with each new entry. 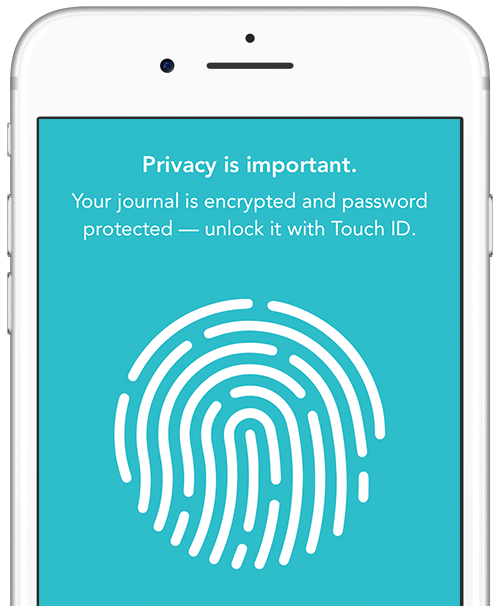 Optionally require your password for journal access — perfect for shared devices.